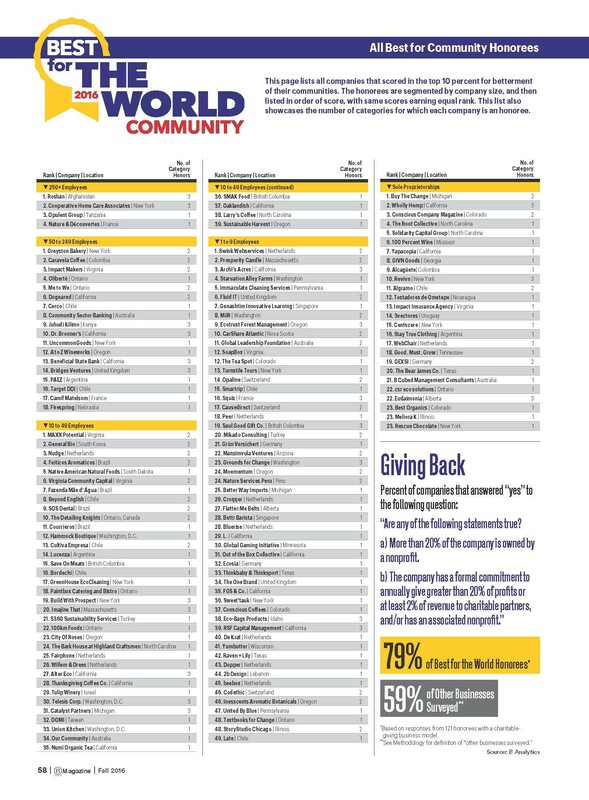 This lists highlights all companies that scored in the top 10 percent for betterment of their communities among all B Corps in 2016. The honorees are segment by company size, and then listed in order of score, with same scores earning equal rank. This list also showcases the number of categories for which each company is an honoree.